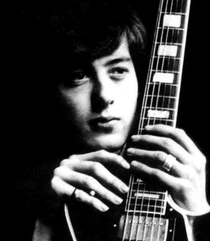 I would like this to be an archive, if possible the most comprehensive archive dedicated to the art of James Patrick Page. Some informations could be controversial, some other very in-depth or on the other hand completely wrong but I decided to put one record more rather than one record less. Corrections, suggestions and every little thing that can improve this archive will be very welcome, always. from his booklet MANGLED MIND ARCHIVE NR.5 I borrowed almost everything in order to compile this site. (in 1995) constant research and a love of his music. Included is the full low down on the Kinks and The Rolling Stones, the real Neil Christian story and all known information on long lost/though not to exist Jazz album from 1965. Record Detective and Steve S.
Extreme thanks to Jude at Vibe! General thanks for other reasons to Peter D., Steve J. and Alex O." Written and researched by Adrian T'Vell 1995 for H.F.P. Publications. Completed, expanded and brought on the web by dadgad, 2013. 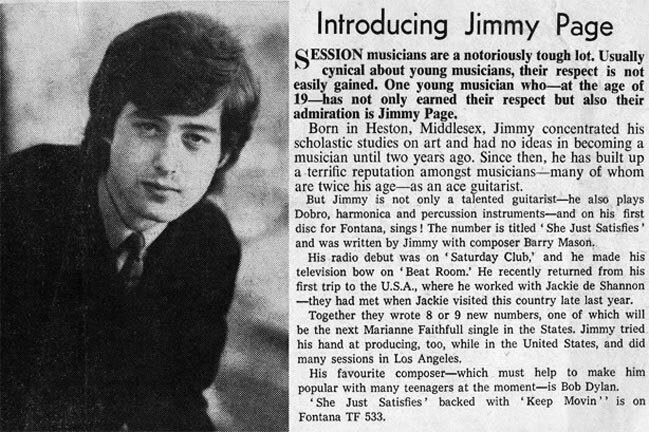 In 1965, Jimmy Page, recorded his first solo single for Fontana Records. The A side of his single featured “She Just Satisfies” while the B-side played “Keep Moving”. 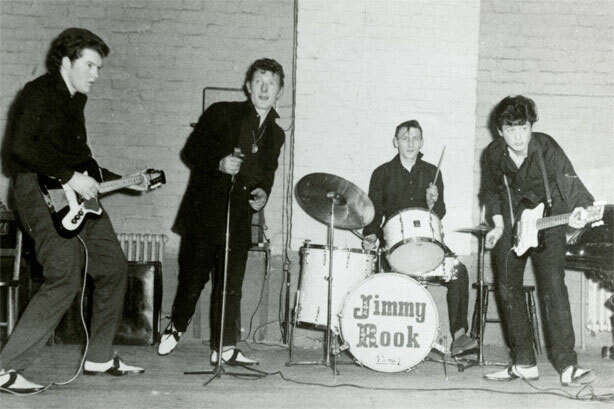 Being a talented multi-instrumentalists he played every instruments in his single apart from the drums which was played by Bobby Graham, session drummer who have played for the likes of the Who and David Bowie. 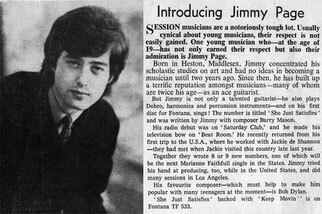 What is most interesting about his single is that he also sings the vocals in “She just satisfies” which as every Jimmy Page’s fan knows is a rare occurrence. While you can hear him provide back vocals in some of the Led Zeppelin tracks this is probably the only track where he happens to be the main vocalists. 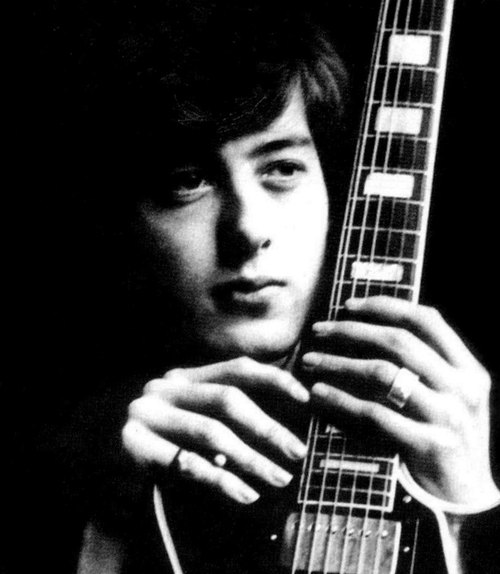 Jimmy Page himself does not like to talk about that track. His second track, “Keep Moving” also sees him play multi instruments including the harmonica however, this time it features his then girlfriend Jackie DeShannon who was responsible for persuading Page to release his own single.